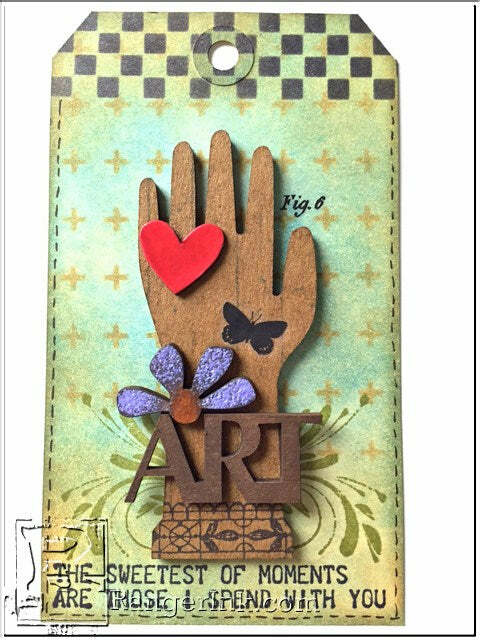 Everyone has scraps and small leftovers from…making art. I like to use as much of these scraps as I can, instead of sending them to the trash. 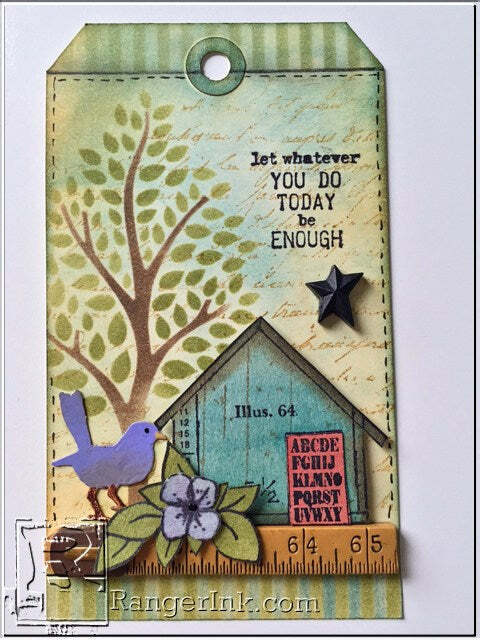 Today I’ll show you how to put those scraps to good use and combine them with embossing powders to create custom embellishments. It’s super quick and easy…Just follow these simple steps. 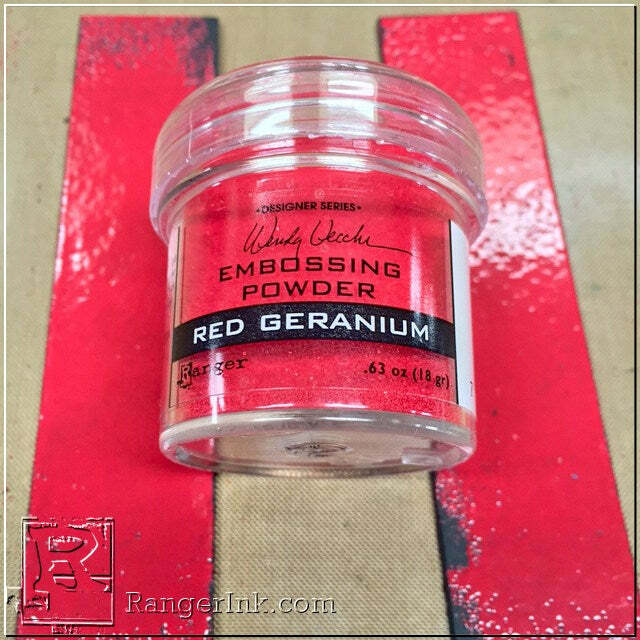 Ink the black magic mat board scraps with Red Geranium archival ink, then sprinkle on some Red Geranium embossing powder. Heat to melt the powder and allow the powder to cool. 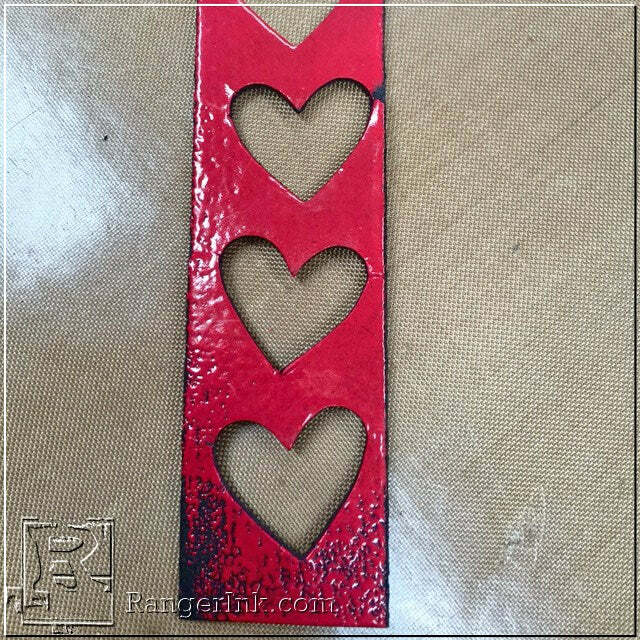 Now that scrap is changed into some adorable mini embossed hearts. They’re all ready to be used on cards, tags, art journal pages or your mixed media art. 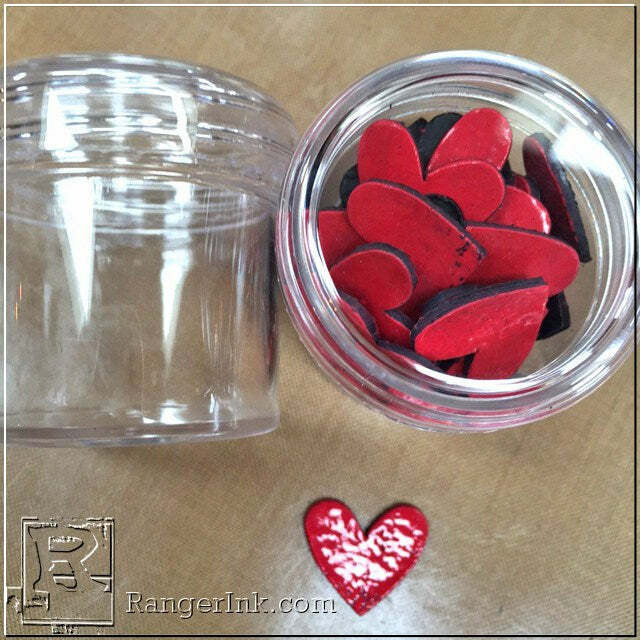 Our Fillable Jars are a great way to store mini die cuts and embellishments. The clear lid allows us to see the contents and they take up very little space. Now let’s use some manila cardstock scraps. I’m using this new cute bird punch. Grab the punch, a manila scrap, some Violet embossing powder and some Violet Archival ink. 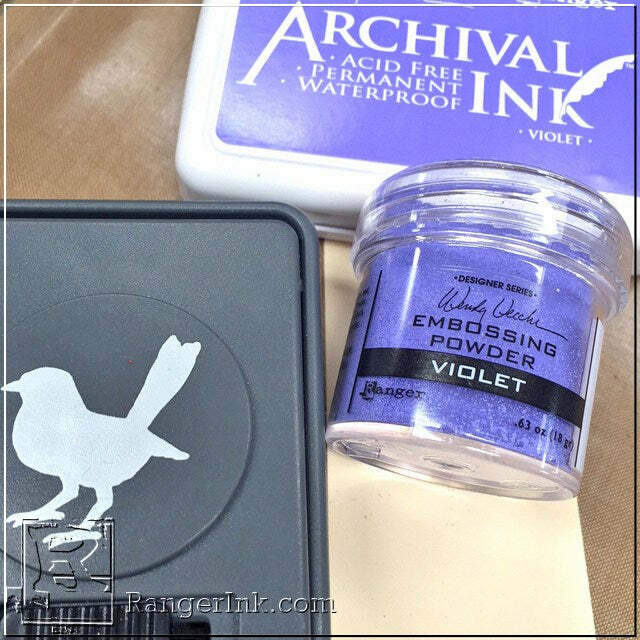 Swipe the Violet ink pad over the manila scrap, then sprinkle on some Violet embossing powder and heat to melt the powder. Use the punch to punch out 2 birds. 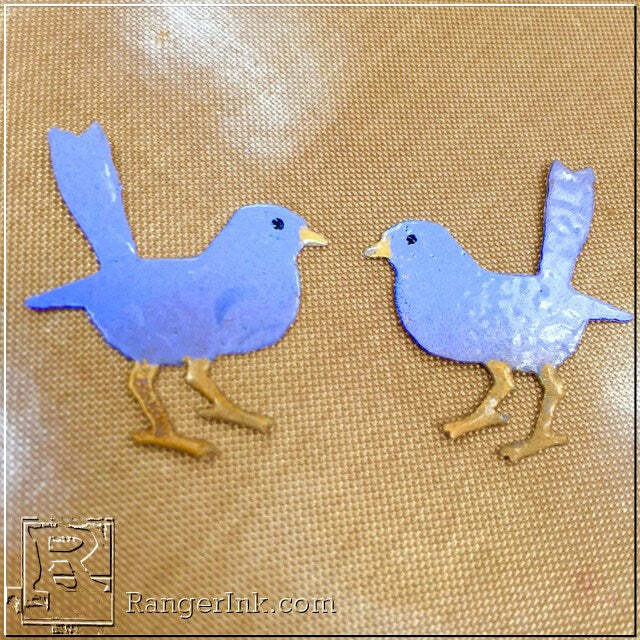 You can easily change the orientation of the bird by punching thru the colored side, then turn the scrap over and punch again from the back. It’s easy to give these birds a little more detail. 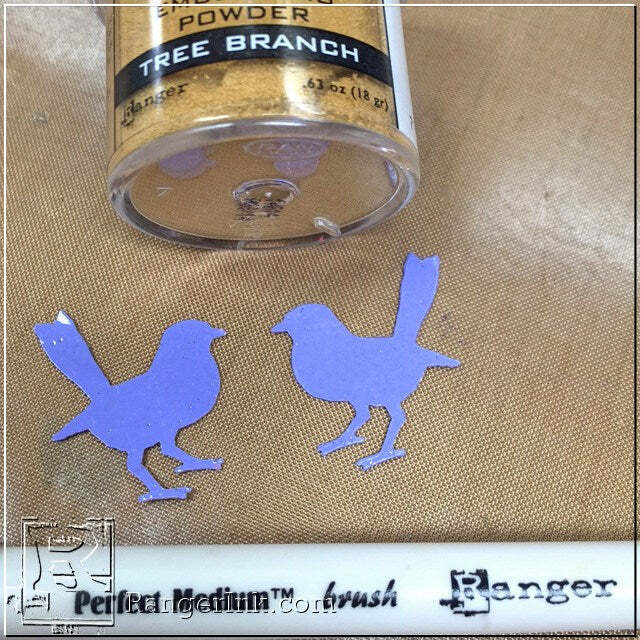 Use the perfect Medium pen to add embossing ink to the bird legs and their beaks. 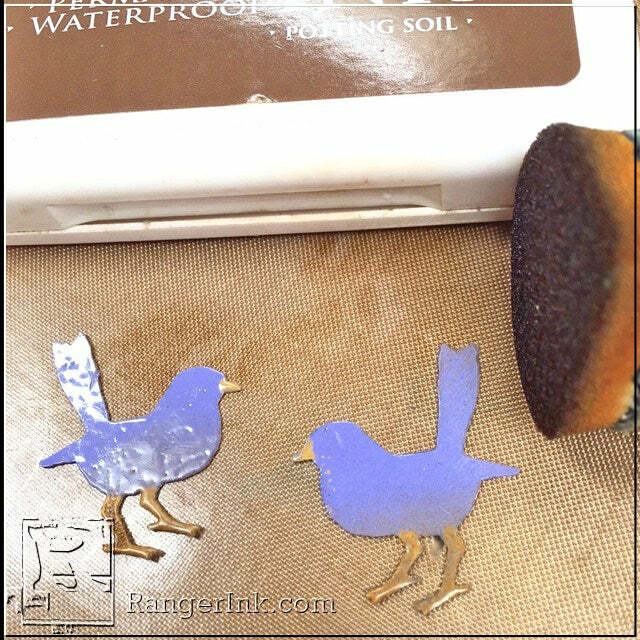 Dip the bird legs and the beak areas into Tree Branch embossing powder and heat to melt the powder. Add shading to the belly area with the mini blending tool and Potting Soil archival ink. Here’s a better look at the birds after the eye was added with the glaze pen. 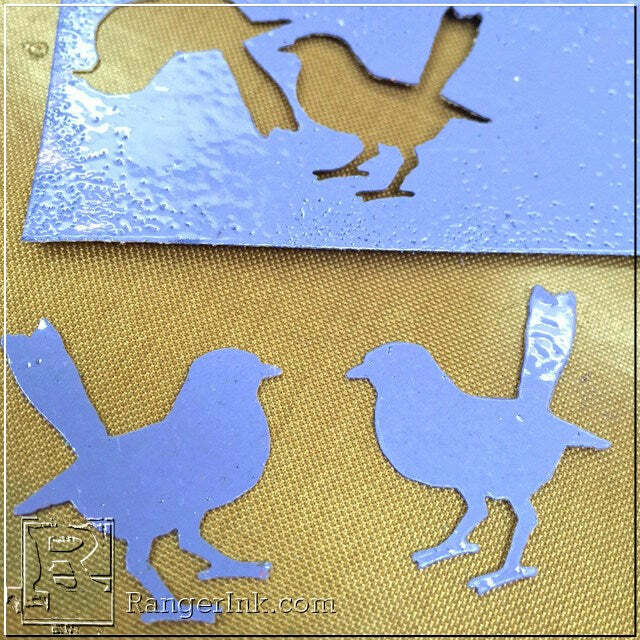 It’s much easier to emboss the whole scrap and then die cut or use a punch, instead of embossing tiny pieces after they are cut. This is a BIG time saver and you’ll have NO burned fingers! 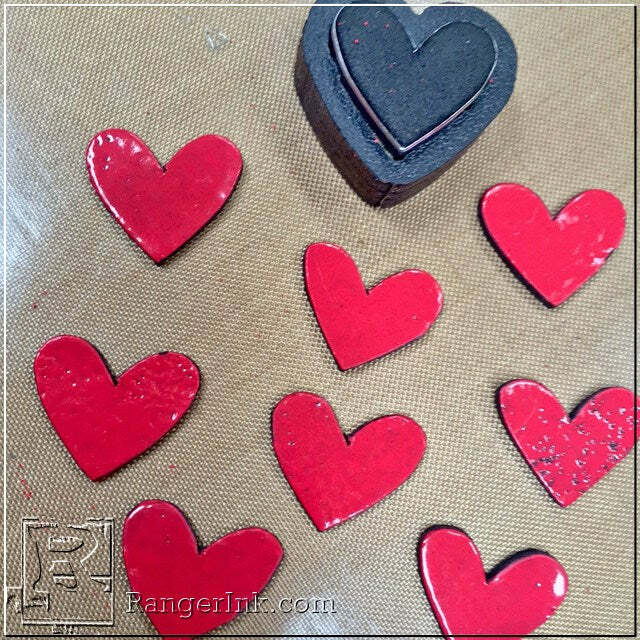 Instead of a pile of scraps laying around, use those scraps to make custom embellishments. It’s so convenient to have them ready for quick use on many projects. 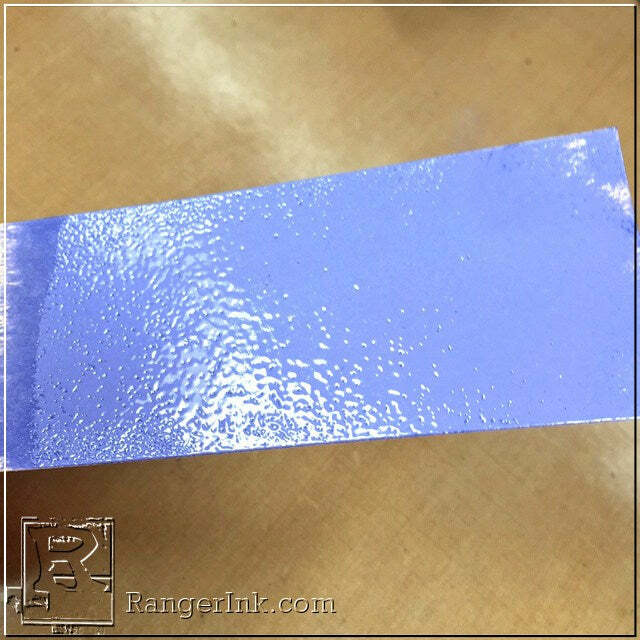 Look at your dies and punches and combine them with embossing powders to give you more use from your products. Swipe the ink pad over the scrap instead of using the blending tool. It’s much quicker! 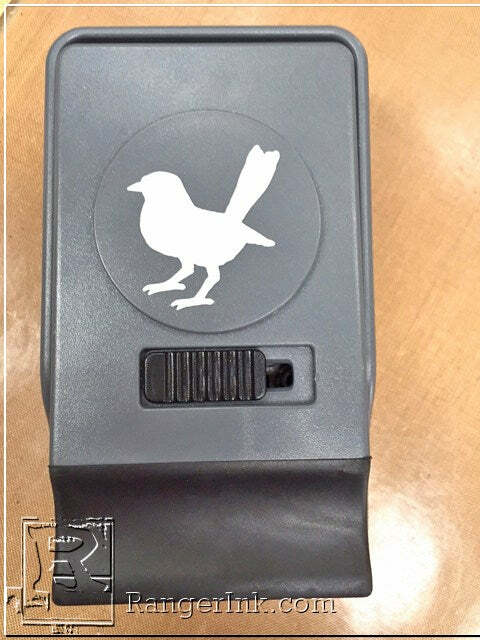 Here they are, used on 2 tag and a reminder to USE YOUR SCRAPS…don’t toss them! Be watching my blog for tutorials for these tags.